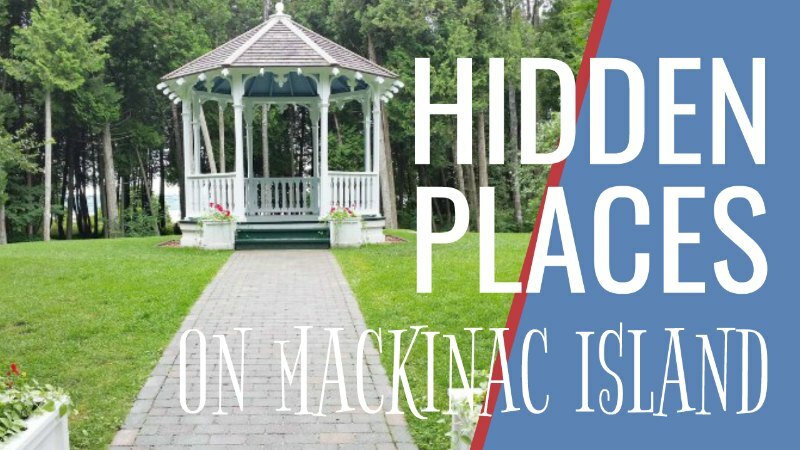 There are so many hidden places on Mackinac Island that we just discovered! I'm sure I'll have more to add after future exploration trips! 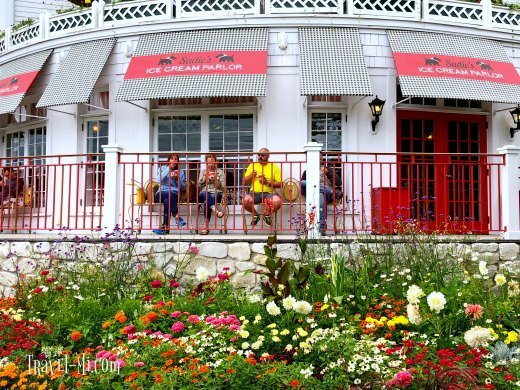 Enhance your Mackinac Island experience with these awesome views, sites and hidden gems on the Island! A. Sadie's Ice Cream and Cadotte Ave.
We discovered this gorgeous ice cream parlor on the edge of the Grand Hotel after getting kicked off the main drive because we were on bikes (no bikes allowed!). ANYWAY, everything has a silver or in this case, fudge lining! 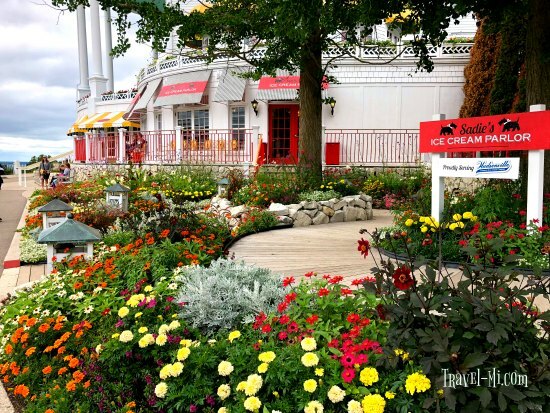 Enjoy your delicious Mackinac Island fudge waffle cone while sitting on the porch of Sadie's Ice Cream parlor surrounded in gorgeous flowers! 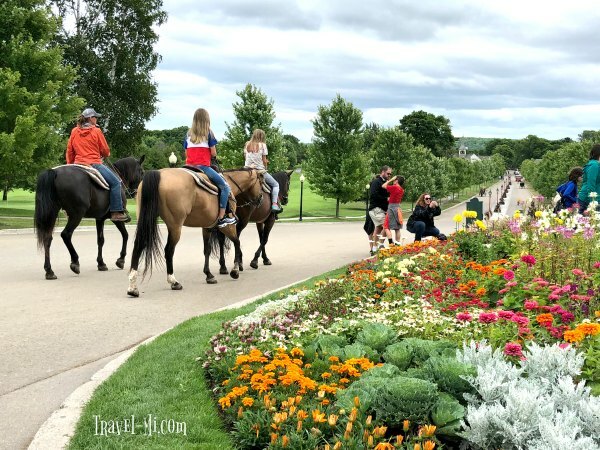 It's one heck of a great location as you can watch the horses and carriages enter the Grand Hotel. It's also a great spot to people watch or cool off in the shade on the porch. Also, be sure to walk or ride down Cadotte Ave. It's lovely! Such a gorgeous location, I can't believe we never knew about this amazing area. Numerous weddings are held here every year. 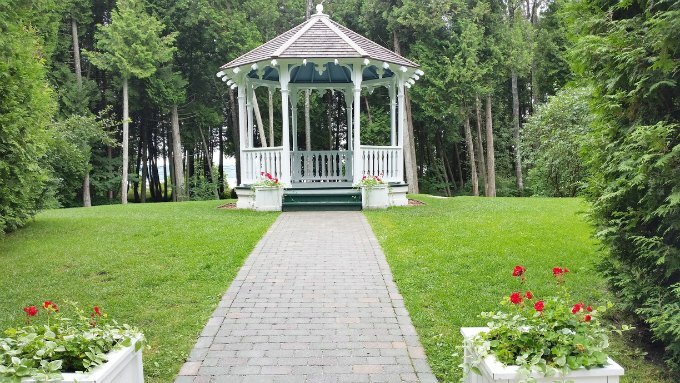 If you loved the movie "Somewhere in Time," be sure to visit this beautiful gazebo in addition to visiting Mission Point's lookout tower (see below). Parts of the movie was shot at this hotel! Looking for an awesome view of the Mackinac Straits? Maybe a great photo opportunity? WELL...Head to Marquette Park, which rests directly below the fort. You'll see a wooden staircase that leads up into the woods on the fort’s right side. Follow some markers and you’ll arrive at a clearing with a shrine to 19th century writer Constance Fenimore Woolson. 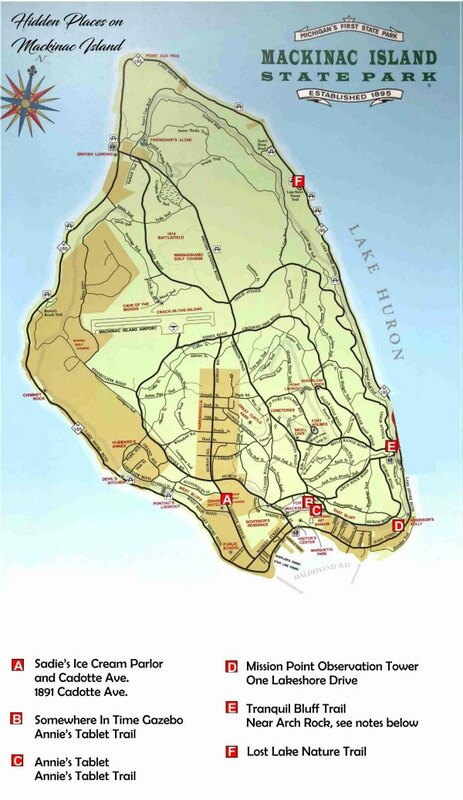 From there you will be awarding a stunning view of the Mackinac Straits. A bronze plaque, titled “Anne,” illustrates in bas-relief a young woman reaching There are also poetic lines from her popular first novel, Anne, the first half of which is set on Mackinac Island. Looking for a walking trail with stunning views? 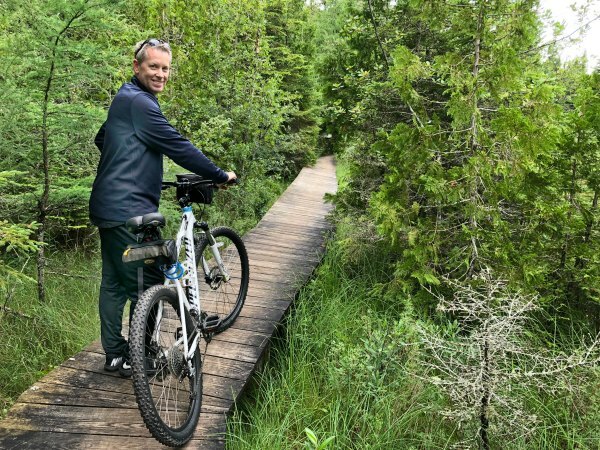 Start at Arch Rock (we ride our bikes and park them there), and go up the steps to the Nicolet Watch Tower which is to the left of the Arched Rock stairway. This is where the Tranquil Bluff Trail begins. The views are stunning along this trail. 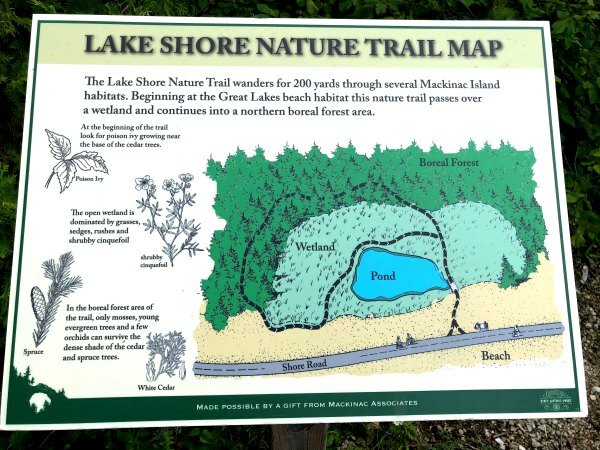 This trail goes all the way to British Landing (west coast of the Island), though you can turn around and go back when you feel you've hiked far enough. 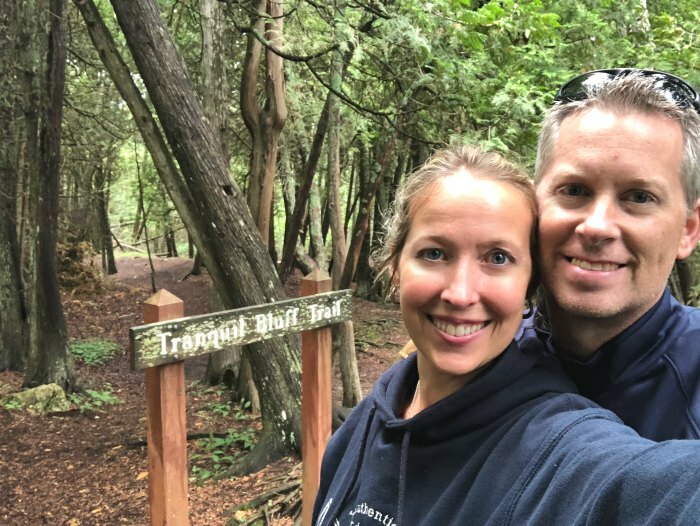 We like to make a full day of this trip - parking the bikes at Arch Rock, hiking the full trail to British Landing and enjoying lunch at the Cannonball. 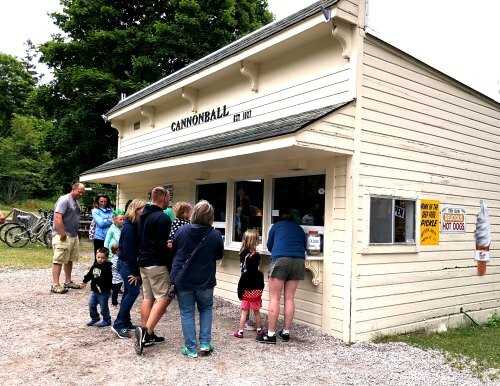 The Cannonball has mostly hot dogs and such but it's an easy inexpensive meal while hiking. There are restrooms at the nature center a few feet away. Once we are rejuvenated and refueled, we wander back to Arch Rock and our bikes. This is super cool> The Mackinac Island Observation Tower at Mission Point offer amazing views of the island and the surrounding waters. As an added bonus, the tower has five floors of historical exhibits. There is also an exhibit on the film Somewhere in Time, which was primarily filmed on Mission Point property. You can see the theater where Christopher Reeve sat in the theater scene and the real Hollywood Sound Stage on property that was used during filming. How cool is that?! The tower is open daily and admission is approximately $5 for adults and half that for children. Here is more really interesting information about the tower! We discovered this trail as we were riding the perimeter of the island. There was just a tiny sign and we thought, "what the heck, let's check it out." WELL. 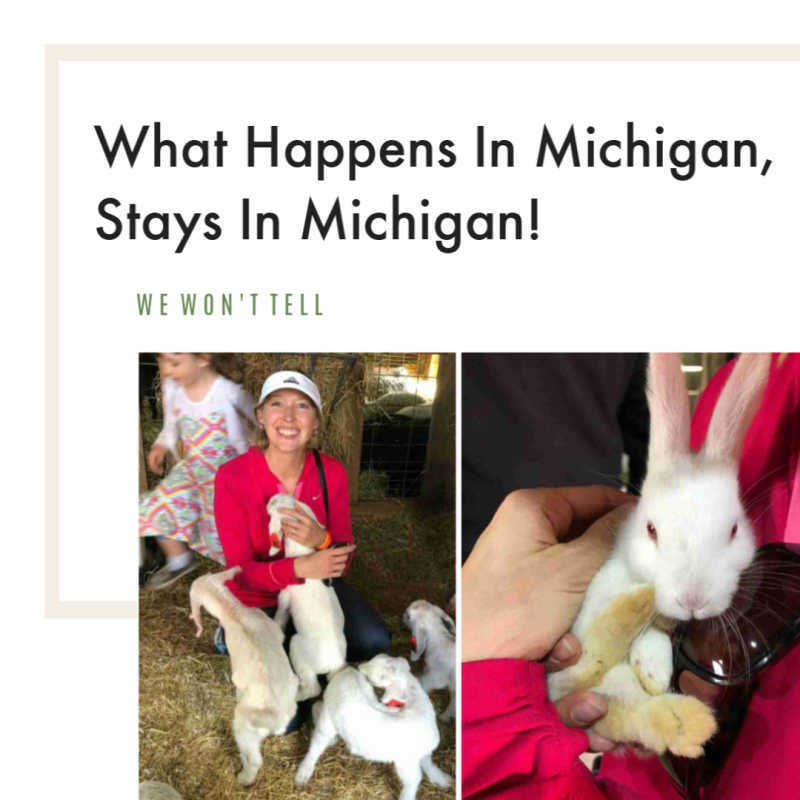 It ended up being one of our favorite hidden places on Mackinac Island. It's a very beautiful area that is hidden from the rest of the world. A spot that is quiet and peaceful. We walked our bikes along the boardwalk but first we stopped to just take in the beauty of the pond, trees, gorgeous sky and boardwalk. It's just a small loop that you can traverse in about 15 minutes. Take your time and enjoy nature at it's finest!! 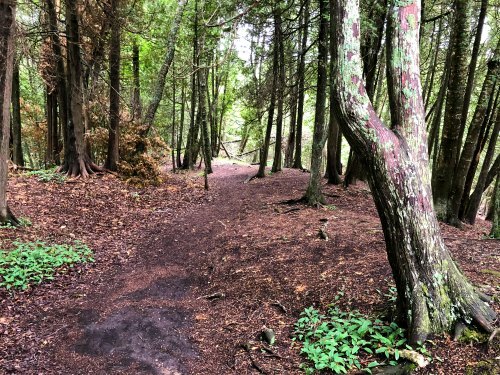 We hope you find some of your own Hidden Places on Mackinac Island so your time there is special.